If you follow me on Instagram then you might have seen me post about the Tennessee Common Core Math training that I attended earlier in the week. Tennessee has made a goal to become the fastest moving state for achievement in the country, and they are pushing Common Core and rigor like its nobody's business! 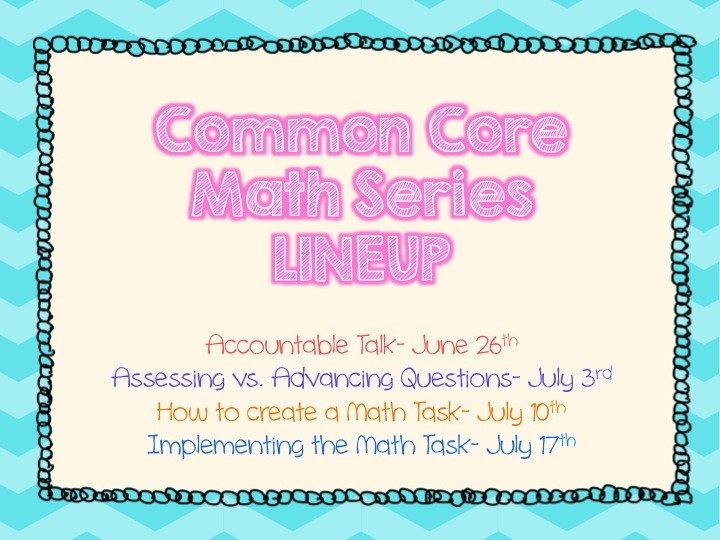 This was not my first training for CC Math, but I still grabbed a lot of useful tips and treasures to bring back to my classroom and my bloggy buddies. One of the things that I truly love and value about being an educator is the ability to take what you have learned and adapt it to meet the needs in your classroom. Common Core means something a little bit different to everyone, and that is what makes teaching so awesome! In the two years(I know..so much experience!) that I have been teaching, I have realized that there is a huge misconception about how to implement the "trending" teaching strategies that get sent our way. There is stress about using them the exact same way as those that presented the new information and materials to you. Don't stress! Take what you have learned and make it your own! What works for one does not work for all! 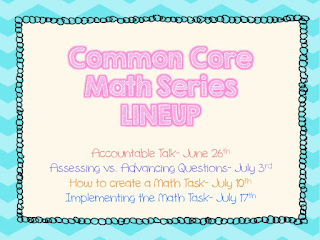 With that said, I would like to present a "Common Core Summer Math Series" on my blog. I don't want to overwhelm anyone with tons of information so I thought I would break up some "small" CC Math tips that you can use in your classroom this fall. I am really, really, REALLY excited about this! And, there is a CC Math Graphic Organizer freebie ready for you to grab if you go like my Facebook Page. All you have to do to get the freebie is like the page and then click on the freebie icon. 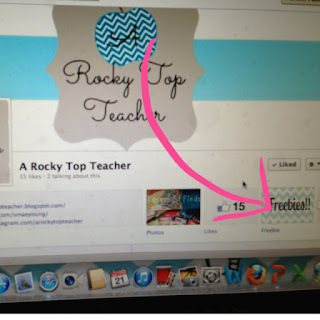 I would LOVE to have you as a FB friend!